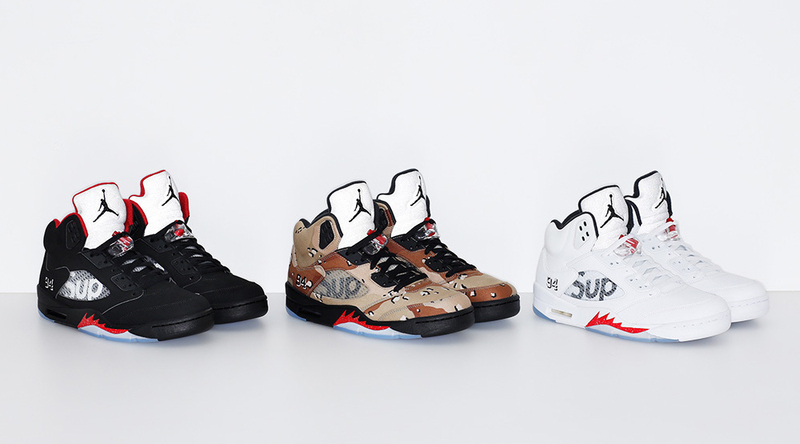 The Supreme x Air Jordan 5 trio releases tomorrow, Oct. 16. 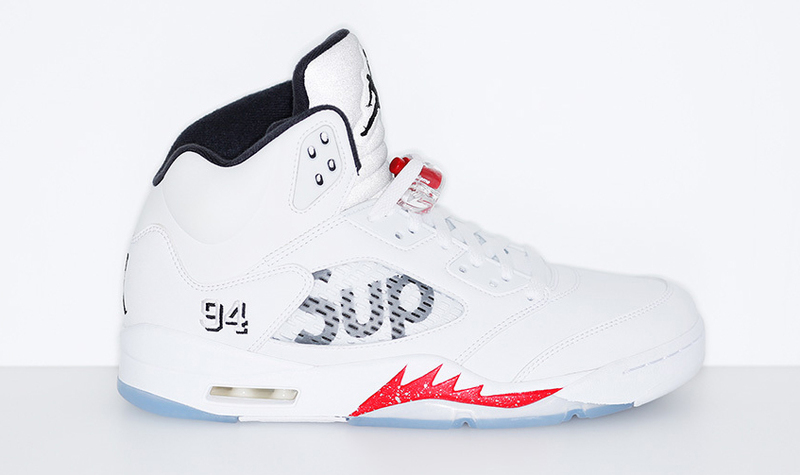 Many outlets initially reported a rumored release date of today, Oct. 15., but Supreme just took to its website to clarify when the sneakers will release. 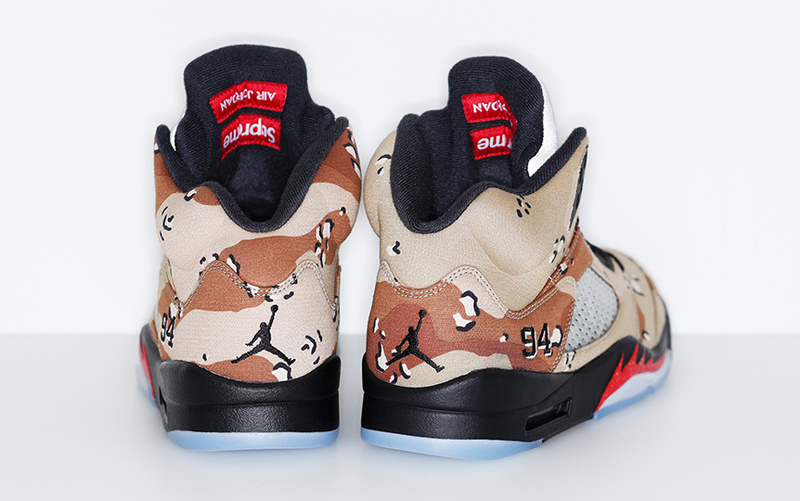 The Supreme x Air Jordan 5s will release on Friday, Oct. 16, online via Supreme and at its London location. 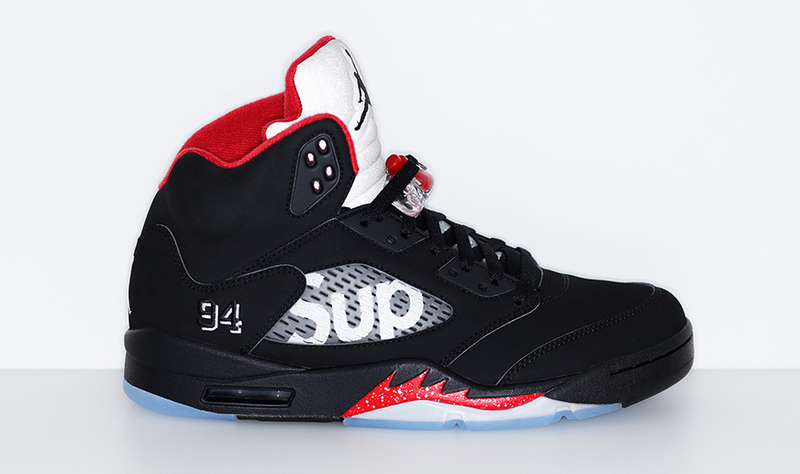 Japanese Supreme shops will release the sneakers on Oct. 17. 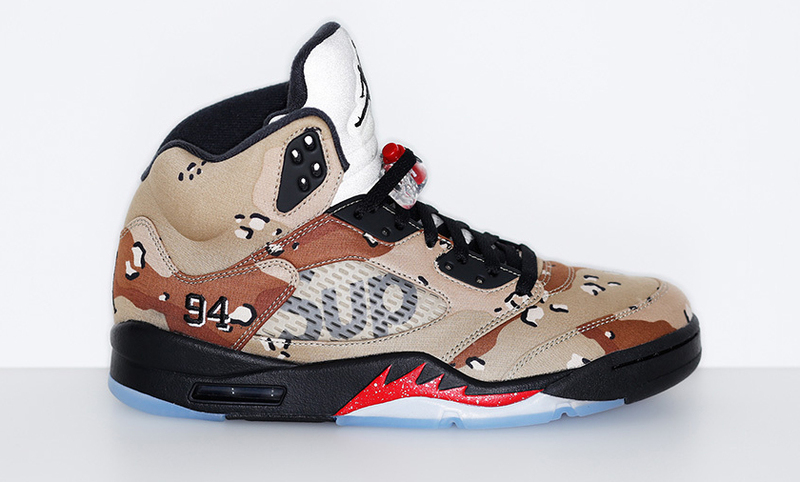 NYC and LA doors will not release this collection in-store. 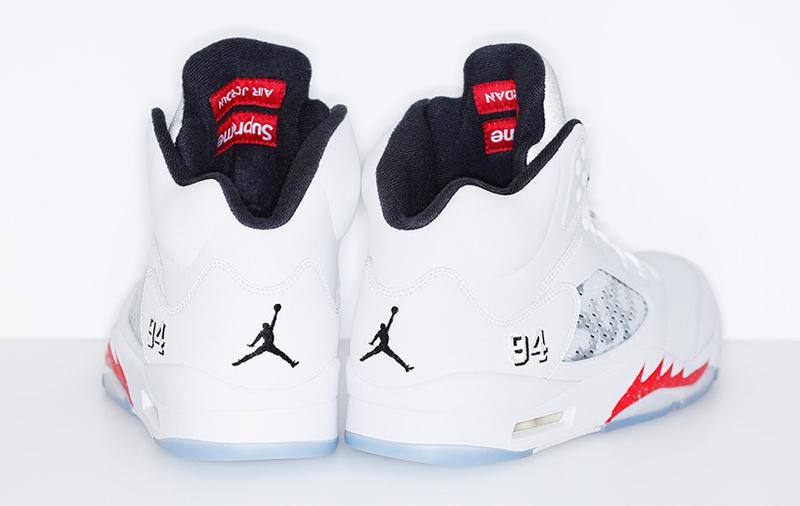 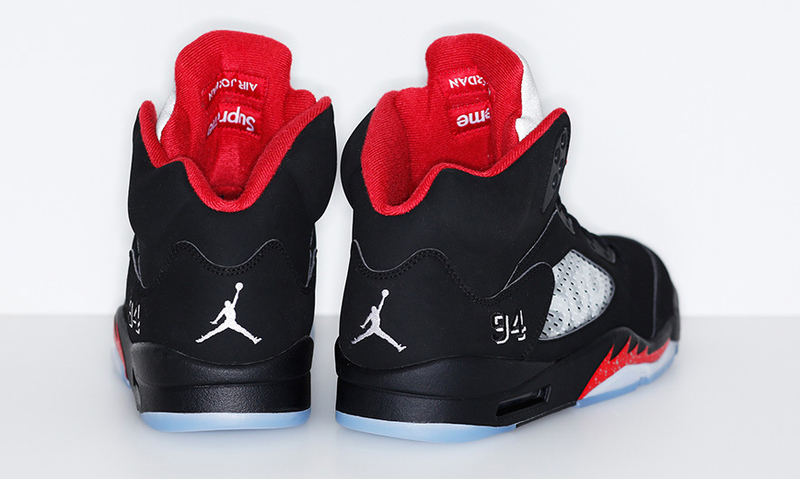 The retail price for the Supreme Jordan 5s is set at $198. 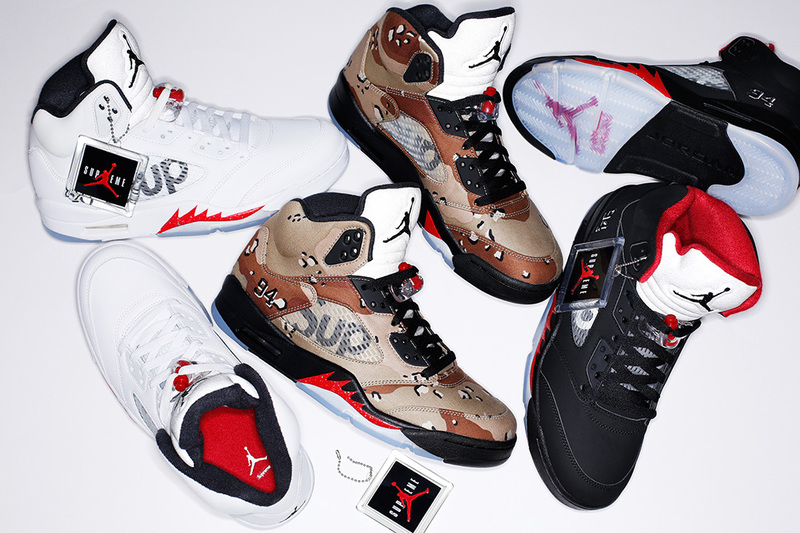 Supreme x Air Jordan 5 Retro "White"
Supreme x Air Jordan 5 Retro "Camo"
Supreme x Air Jordan 5 Retro "Black"